Federal prosecutors say accused fraudster Keenan Alexander Gracey poses a flight risk and a continued criminal risk to the community and should be jailed until his October trial. Keenan Alexander Gracey may not stand trial until October, but federal prosecutors in Seattle want the accused fraudster behind bars until then. And to bolster their argument, prosecutors have pointed to, among things, the recent actions of a close family member — Gracey’s father. Keenan Gracey, a 27-year-old former Newcastle resident, was arrested four days before Christmas on charges that he had bilked dozens of Washington and California residents out of more than $6 million by posing as a professional athlete and wealthy British financier, according to an indictment returned by a federal grand jury Jan. 3. On Monday, federal prosecutors and Gracey’s public defenders filed a joint motion to postpone his trial until Oct. 7 to give both sides more time to prepare for the complex case. But Assistant U.S. Attorney Seth Wilkinson has argued against releasing Gracey in the interim because he presents “an extreme risk of flight and a serious danger to the community,” according to a detention memorandum filed Jan. 16. Neither federal prosecutors nor Keenan Gracey’s federal public defender would comment on the case. David Gracey did not return several phone messages left by The Seattle Times. David Gracey has not been charged by federal prosecutors with any crime. But he has been a growing presence in the case since last spring, when the U.S. Securities and Exchange Commission, acting on a complaint by an aggrieved investor, opened an investigation into Keenan Gracey’s investment activities. According to federal charging documents, Keenan Gracey launched his fraudulent scheme in mid-2016 when he began representing himself as an Oxford-educated British billionaire with inside knowledge of lucrative corporate stock deals. Gracey’s victims, who ranged from wealthy investors to wage workers, were promised the chance to buy shares in soon-to-be-public companies at a massive “pre-IPO” discount, according to charging documents. The companies actually existed, but Gracey had no connection to them, prosecutors say. To burnish his image as a high-flying investor, Keenan Gracey manufactured an increasingly posh lifestyle. Using proceeds from his initial victims, Gracey leased Ferraris and Lamborghinis and took up residence in rented mansions in the Seattle area, Beverly Hills and San Diego, prosecutors say. He rented out VIP rooms at expensive restaurants for investor events. Gracey’s football assertion was likely bolstered by his hulking physical presence. 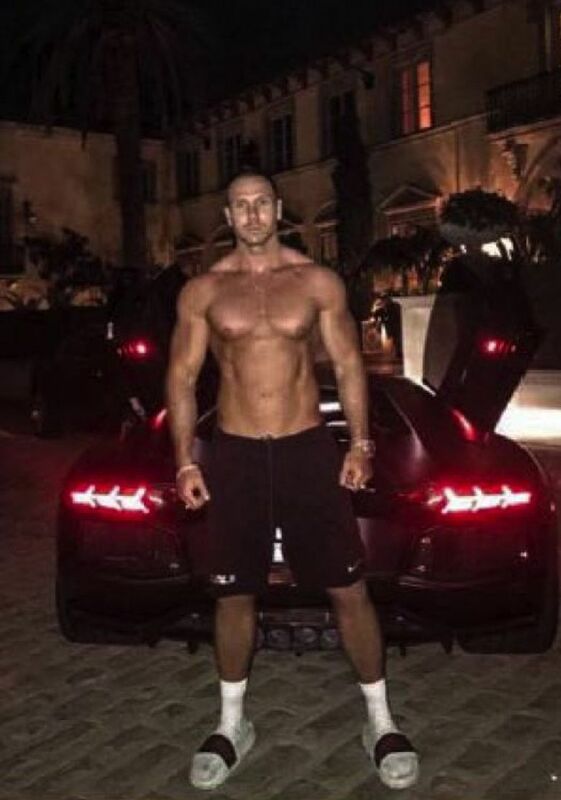 Police records describe him as 290 pounds and 6-foot-8 inches, and numerous selfies, often in front of fancy cars and homes, depict a muscular physique — although there are also indications Gracey wore platform shoes. The elaborate ruse was convincing. By the time federal agents arrested him Dec. 20 in Los Angeles County, Gracey had defrauded dozens of people of more than $6 million over a two-year period, according to the indictment. Many of Gracey’s investors “had liquidated their retirement accounts and taken on high-interest loans to ‘purchase’ Gracey’s phony stock,” according to the detention memo. The indictment referred to that relative only as “‘Person 1.” But the latest court filings suggest that in at least one instance, those bank accounts belonged to David Gracey. Included with the detention memo is a report from FBI agents who interviewed one of Keenan Gracey’s alleged victims. The person, referred to only as D.E., told investigators that Keenan Gracey approached him with a “pre-IPO” deal in June 2018 and that D.E. ultimately invested $400,000, according to the FBI report. D.E. also told federal investigators he wired that money not to Keenan Gracey, but to David Gracey, via bank accounts at Wells Fargo, Bank of America and HSBC, according to the FBI report. What’s more, D.E. told investigators that he had been introduced to Keenan Gracey by David Gracey in 2011, when both D.E. and David Gracey worked at Boeing. David Gracey left Boeing during a major layoff in 2013, according to the report. Last month, a Boeing spokesperson, citing company policy, declined to say whether David Gracey had been an employee. As in all federal cases, Keenan Gracey’s arrest was followed by a detention hearing process to determine whether he could be released pending trial. But federal prosecutors argued strenuously against his release because Gracey seemed highly likely to flee the country. Prosecutors noted that, in addition to receiving the passport information from his father, Keenan Gracey is a Canadian citizen with “no personal or economic ties to the community (apart from committing fraud on its residents),” according to the detention memo. 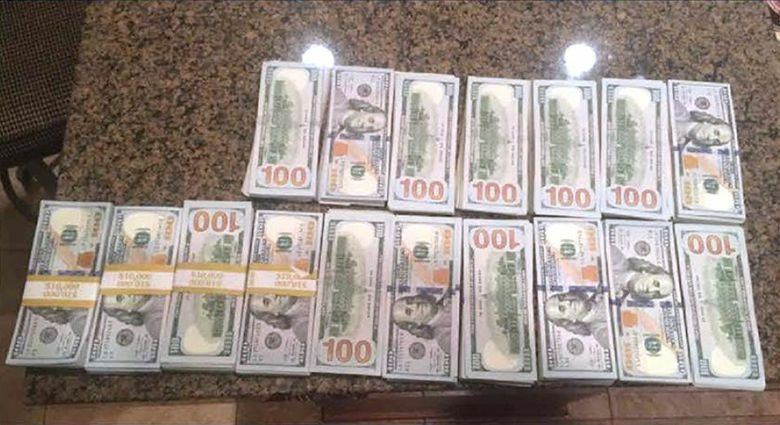 Prosecutors also presented evidence that Keenan Gracey has routinely used aliases, including Xander Gracey and Xander Keenan, and “has access to large amounts of cash.” They pointed specifically to a September 2018 email Keenan Gracey allegedly sent to one of his victims with a photograph showing stacks of $100 bills. Prosecutors also argued that Keenan Gracey poses a persistent criminal risk to the community because he continued his fraudulent schemes despite being aware that he was under federal investigation. In the detention memo, prosecutors say Keenan Gracey was still perpetrating fraud almost until the day he was arrested. On Thursday, Gracey’s attorneys filed a motion challenging his detention. In the meantime, he remains in custody at the SeaTac Federal Detention Center. That’s of little solace to the alleged victims. Paul Roberts: 206-464-2951 or proberts@seattletimes.com; on Twitter: @Pauledroberts.